Whether shopping is one of your favorite pastimes or you just forgot to pack something for your trip, you’ll find many stores in the trendy city of Baton Rouge. Baton Rouge has both the traditional stores you know and love, plus some unexpected hidden gems. Travel back in time by stepping into local antique stores or enjoy outdoor shopping when the weather is nice. Don’t forget to bring home goodies for your family and friends from one of Baton Rouge’s souvenir, local apparel or gift shops! Baton Rouge’s revitalized Government Street is home to stores like the Pink Elephant antique shop, Circa 1857 (a market with more than 35 vendors full of art, antiques, gifts and more), the Pop Shop record store, boutiques such as Time Warp (specializing in vintage clothing,) and more. Bonus: If you’re really into antiquing, consider a trip to the Denham Springs Antiques Village where you can find even more original artwork, hard-to-find collectibles, unique gifts, books, handmade jewelry and more. Perkins Rowe is Baton Rouge’s premier shopping destination. Convenience and fun intersect here in beautiful walkways and scenic courtyards with some of the best shopping, dining and entertainment in Baton Rouge. National retailers you know and love like Anthropologie, Kendra Scott, Francesca’s, Sur La Table, J.Crew, Urban Outfitters and more anchor this upscale shopper’s paradise. Find the best deals at Tanger in nearby Gonzales. A few miles out of the city, but definitely worth the drive, you’ll find over 90 designer and manufacturer outlet stores and restaurants featured in this popular outlet mall. This outlet mall also serves as a Tax-Free Shopping redemption Center for international travelers! THE Mall of Louisiana is located in the capital city and is where you’ll find the most shops all in one spot! The Mall of Louisiana boasts a food court, ready-to-ride carousel and a host of premier stores on two levels, with an AMC Movie theater and multiple dining options nearby. From picking up the newest Apple gadget to finding everything you need at one of their anchor stores like Macy’s, shop at the Mall of Louisiana. Towne Center’s open-air marketplace evokes an “Old World sensibility,” with inviting walkways, graceful fountains and traditional charm. 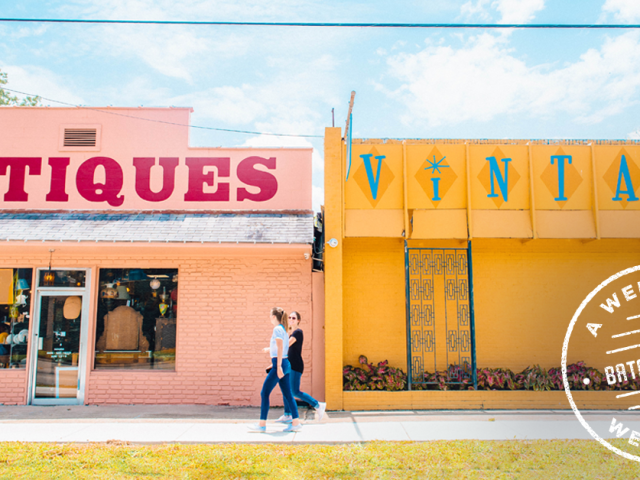 Paired with a superb selection of merchants (from bookstores to boutiques), rediscover the beauty of shopping and enjoy their shops in Baton Rouge. With classy local boutiques and scenic outdoor markets, you can easily find the perfect place to shop in Baton Rouge. While here, set aside some time to shop in Baton Rouge and share with us what you find!